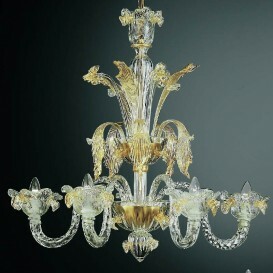 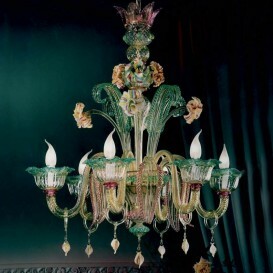 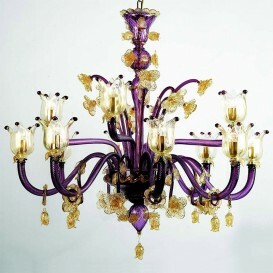 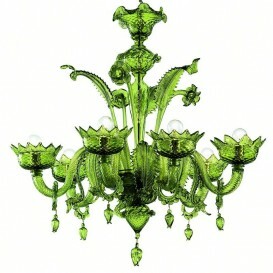 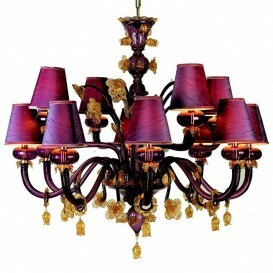 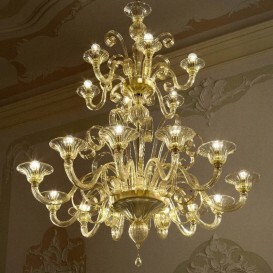 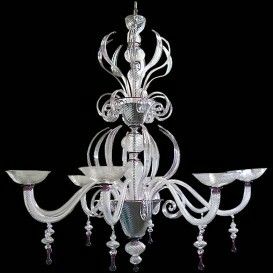 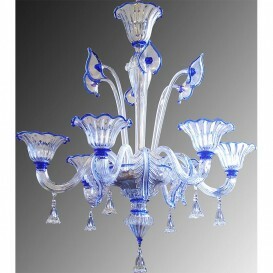 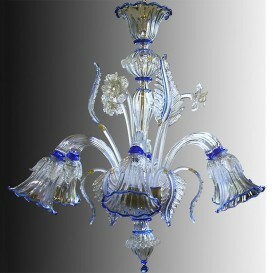 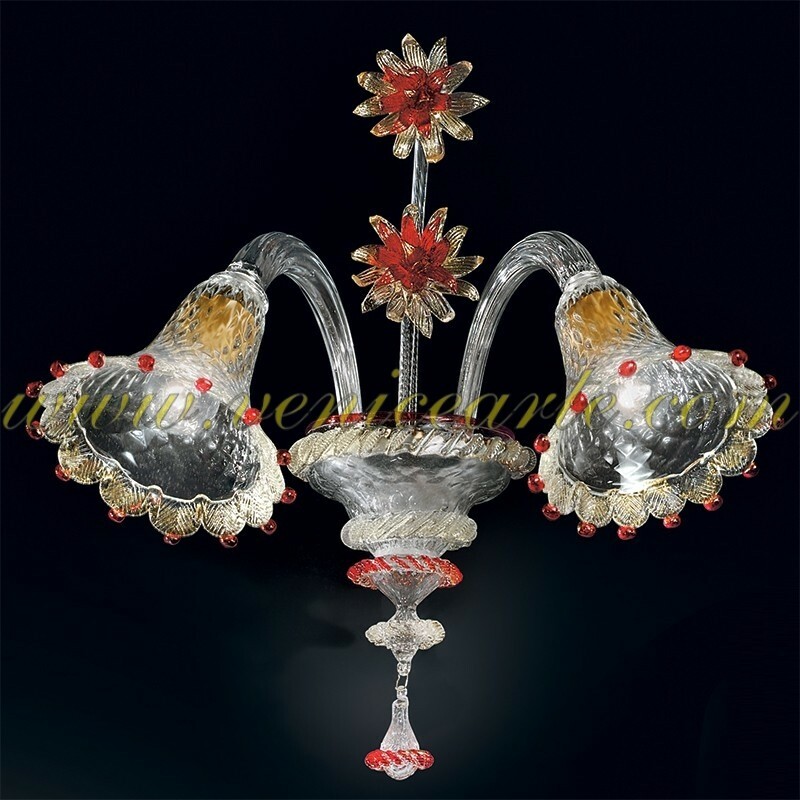 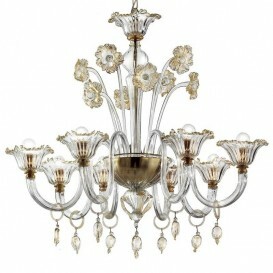 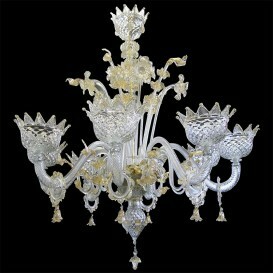 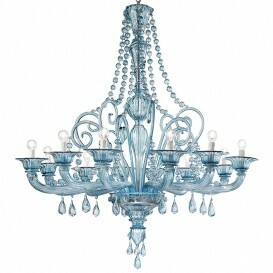 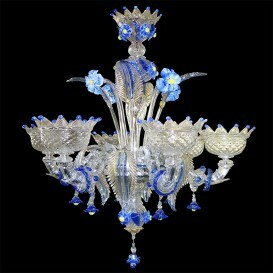 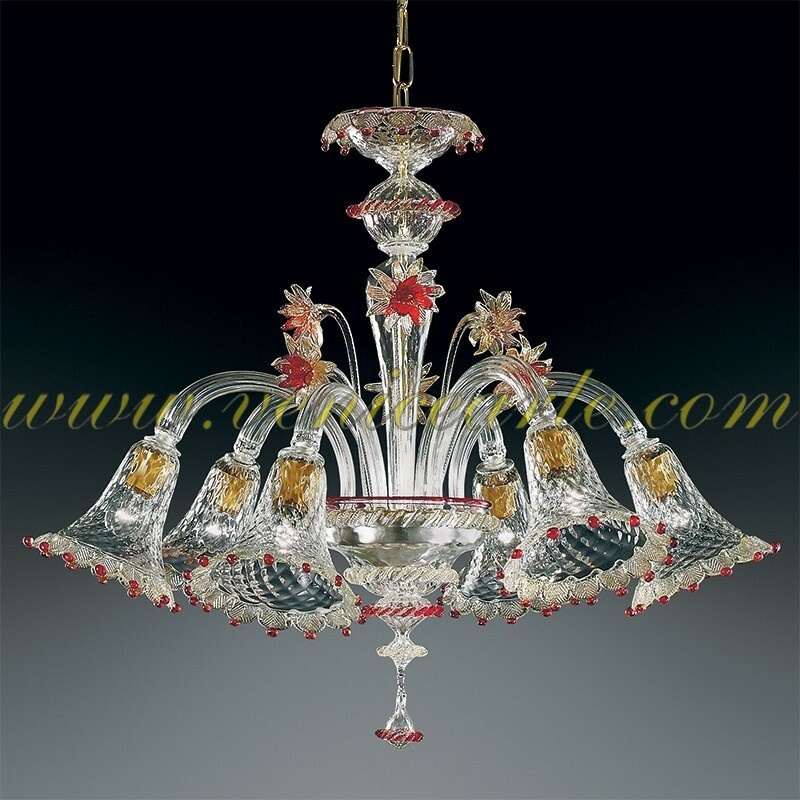 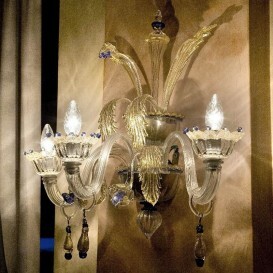 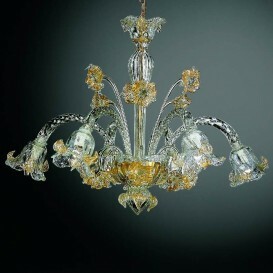 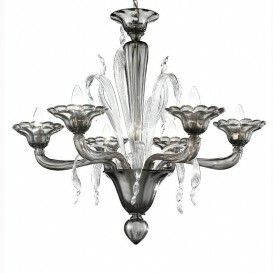 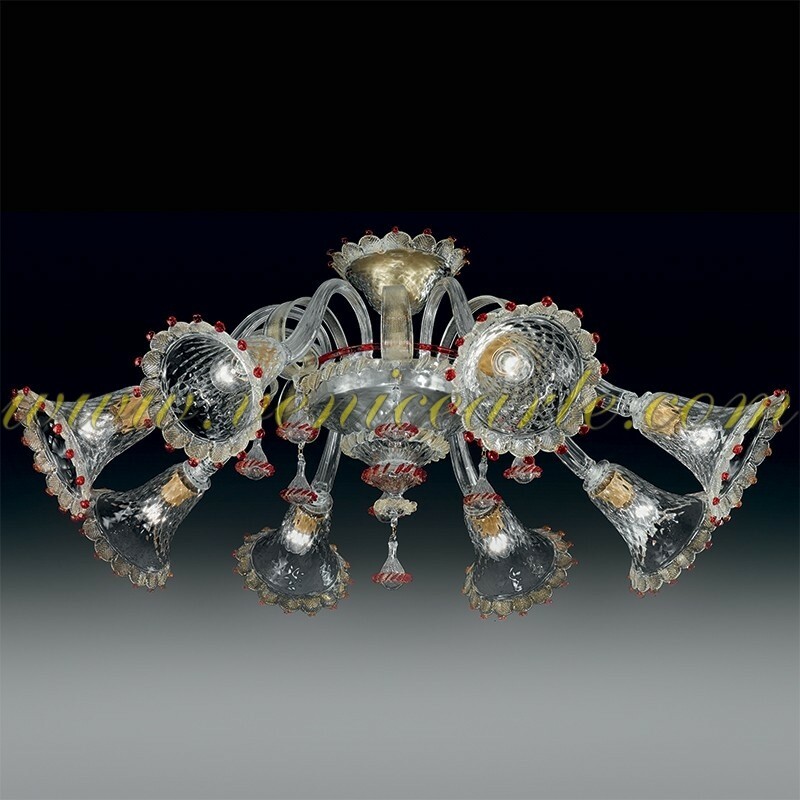 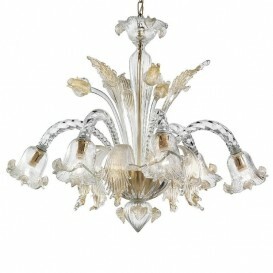 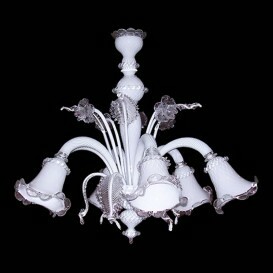 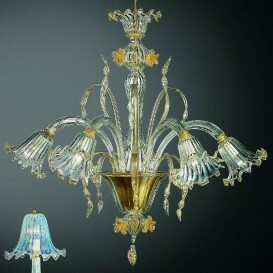 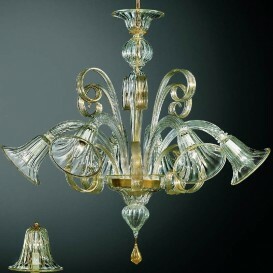 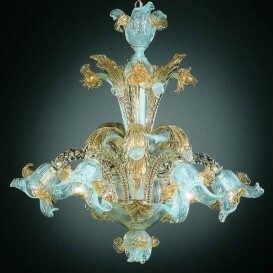 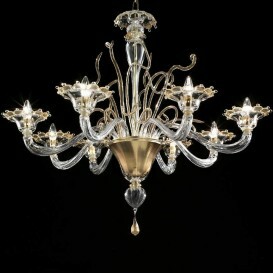 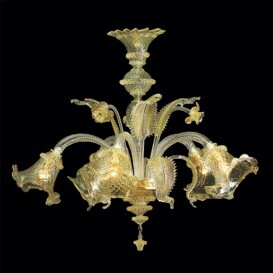 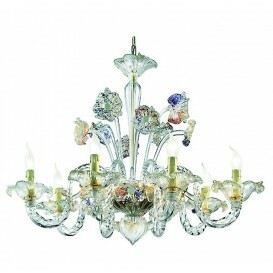 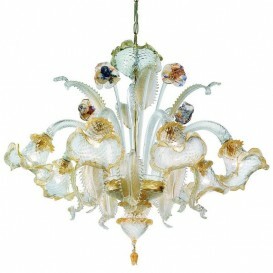 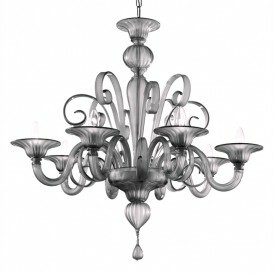 Classic Murano glass chandelier handmade from Murano Master's glassblower. 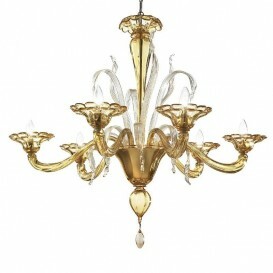 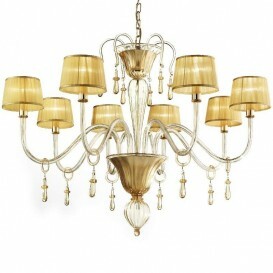 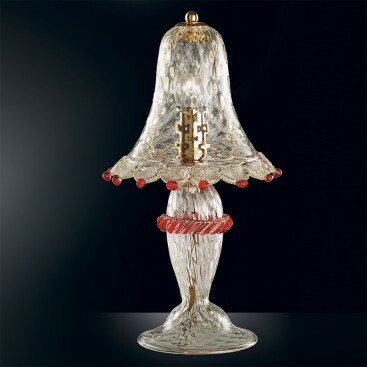 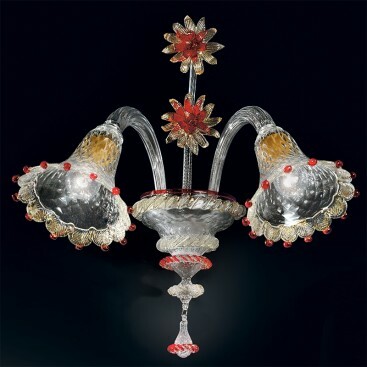 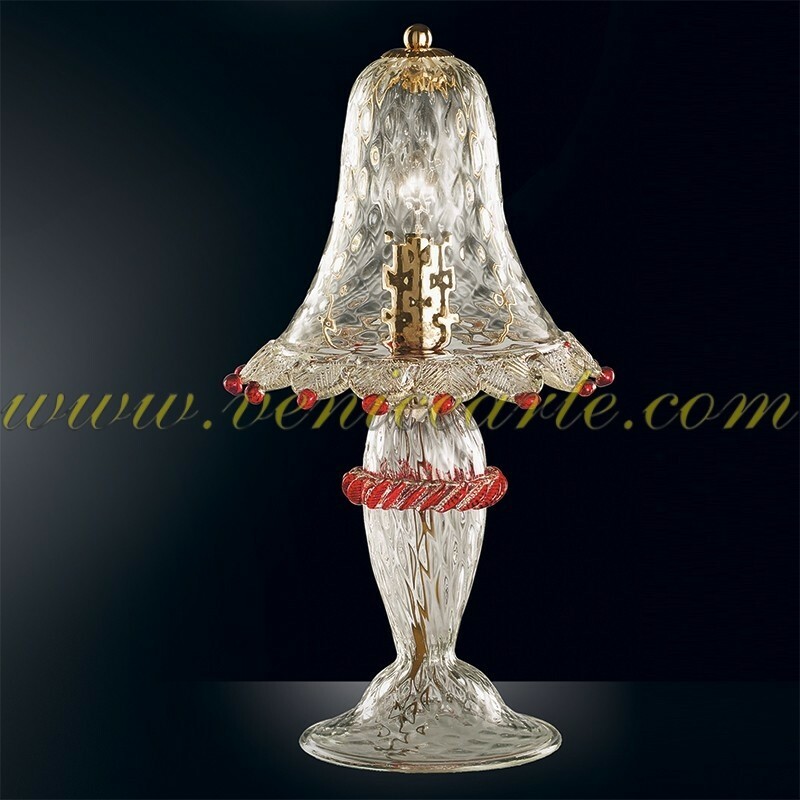 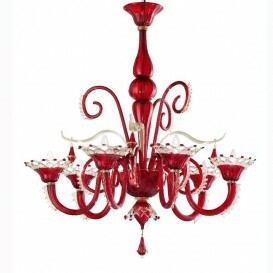 This Murano glass chandelier is available in cristal gold and cristal gold with red finishes. 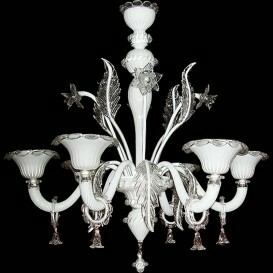 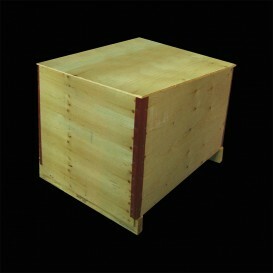 On request any color and any size.